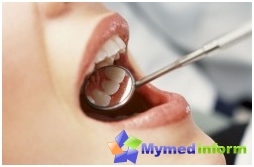 Gingivitis - the most common inflammatory disease of the tissues surrounding the tooth. Most often, with him facing children, adolescents and young people who are under thirty. Reducing the body's resistance against the background of hormonal dysfunction, cardiovascular and circulatory systems. Problems which localization position is in the gastrointestinal tract. Deficiency of vitamins and minerals in food. Diseases of allergic and infectious origin. Poor oral care or no health as such. The formation of dental plaque and hard deposits on the enamel surface. Damage to the mechanical origin. Lesions of chemical and radiation nature. Inflammation limited areas (1-2 interdental papilla) due, as a rule, dental plaque, tooth decay, poor quality or partially deformed seals, baby tooth mobility. Eliminate the paramount factor of inflammation. Carry out complex anti-inflammatory treatments. The severity of the acute form of gingivitis in the local treatment is removed with the help of events such as irrigation, rinsing baths, the application of medical compresses. The doctor may advise the patient at homeconditions of use rinse soda solutions, taking vitamins (P, C and A in particular). To improve the mucosal barrier prescribe mouth rinse solution artificial lysozyme (hen egg white of one and one teaspoon salt are dissolved in one liter of water) five times for 2-3 days. Also, the patient is advised to use anti-inflammatory and affecting skin ointment (Solkoseril, Methyluracilum, Propotseum). 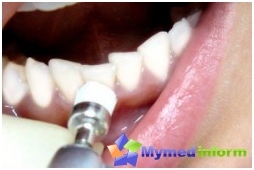 Treatment of chronic forms of gingivitis requiresremoving deposits on the teeth. Their removal is necessarily accompanied by irrigation oral antiseptics. If there is a need, conduct dental treatment, dental prishlifovyvanie those who need it, impose medical dressings and prescribe physiotherapy. A strong swelling after the removal of factorsthat triggered the development of gingivitis, is removed with the help of anti-inflammatory and anti-therapeutic agents: a solution of heparin or heparin ointment, a 10% solution of calcium chloride, hydrocortisone, kalanchoe juice, psyllium, a decoction of oak bark. These drugs may also be administered by means of ultrasound. The fibrous form of gingivitis involves the excisionhypertrophied gingival areas. Good results shows cryosurgery. After the intervention of the heparin used ointment Hydrocortisone on medical dressings. Also in this form of the disease may conduct sclerotherapy, which is the use of drugs that cause aseptic irritation of affected areas of the gums, followed by the replacement of soft tissue by connective tissue. During sclerotherapy procedure afteranalgesia in each affected papilla administered at 0.1-0.2 ml 40% glucose, 25% magnesium sulfate solution, calcium chloride solution 10%. Sessions are held 3-4 times at intervals of one or two days. Sclerosing action are also different preparations and Maraslavin Poliminerol, applied by their application. Gingivitis is complicated by ulcerations, is treated analgesic, necrotizing. Keratoplasty and reduces inflammation medicine. 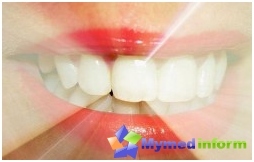 For all forms and stages of gingivitis relevantprocedure of cleansing the teeth from plaque. Spend it in two steps: first working on the removal of supragingival deposits, then, at the second session, remove subgingival deposits. 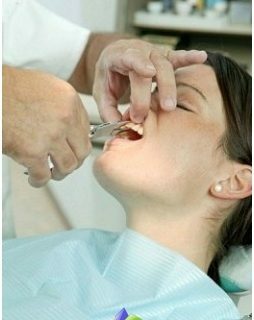 For the effectiveness of therapy also remove necrotic manifestations of gingival papillary and decomposition. Procedure is performed by using special tools to until the wound is not exposed surface. It is treated with medications trypsin and chymotrypsin. Very effective antiseptics such as Dimexidum, Chlorhexidine, Trichopolum. Therapeutic and preventive measures atpathological states of soft tissues of the oral cavity also involve the use of physiotherapy. Using electrophoresis darsonvalizatsii, ultrasound therapy, phototherapy flyuktuarizatsii and can significantly improve the condition of the gums. 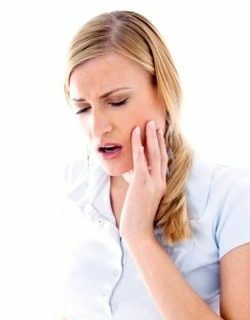 our website offers its readers some interesting recipes that to improve the condition of the gums used by our ancestors. One teaspoon of dried herb St. John's wortpour a glass of boiling water. Within 15 minutes, the solution insist waiting for it to cool, then filtered. Cooked remedy rinse your mouth before going to bed. Old rusty nail red-hot, and putit in a small container of honey. Waiting, waiting for the honey will become darker shade, after which the resulting material is rubbed into the gums before going to bed. One tablespoon of dry grass elecampane pourcup of boiling water and boil it another 15-20 minutes. Then insist 3-4 hours, filter. The resulting healing solution rinse the mouth several times a day. To get rid of the inflammation and strongbleeding gums, half a teaspoon of baking soda mixed with a few drops of honey. The resulting mixture was added 15 drops of hydrogen peroxide. 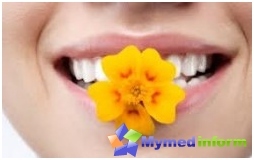 These drugs lubricate the affected areas of the mucous membrane in the mouth. It is divided into several stages. Firstly, in order to prevent diseases of the teeth and gums, you need to adhere to preventive measures and timely treat common diseases, give up bad habits, give yourself a healthy balanced diet, conduct a thorough oral hygiene and regular dental visits. Secondly, it should immediately eliminate the caries and its complications, periodontal disease, pathology, dental-maxilla apparatus. Finally, the need to pay special attention to the restoration of lost function of dental system due to loss of teeth, as well as certain diseases. Everything we know about the cold? Why do we need to measure eye pressure?